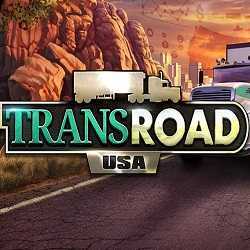 TransRoad USA is a Casual, Simulation and Strategy game for PC published by astragon Entertainment GmbH in 2017. Bring your customers what they want with your trucks! Grow your business by building up trust and signing bigger contracts. Deliver the orders in time and safe in order to be successful in your job and gain more.